Limited edition re-launch of Hope's previously soldout The Future I$ Equal design in new navy and red versions. Stand up for equality and help fund scholarships for bright young leaders from a marginalized countries to attend the One Young World Summit in The Hague this October. More info below. One Young World is a global summit that gathers the brightest young leaders from around the world aged 18-30 and empowers them to make lasting connections and develop solutions to some of the world's most pressing issues. 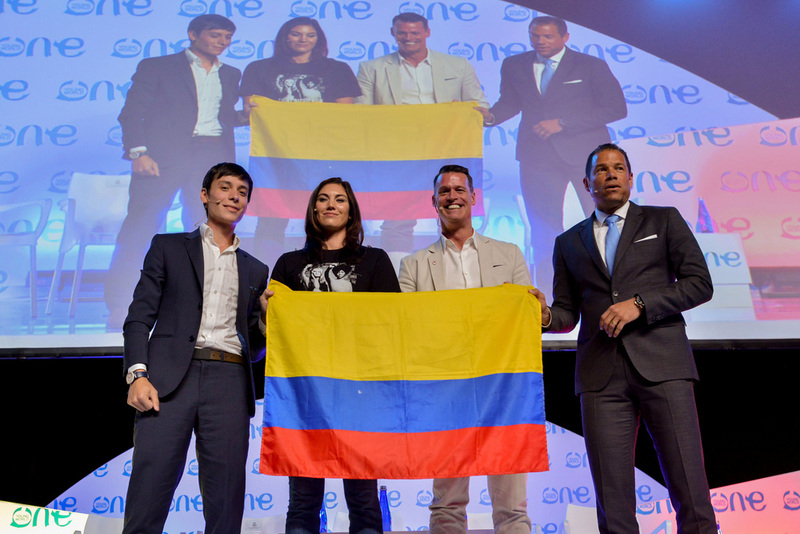 Learn more and see the highlights from last year’s event in Colombia.